So have I got the breakfast recipe for you that is perfect for this beautiful spring/summertime weather we’ve been getting in the Mitten! Yes. COLD oatmeal. Maybe some of you have had oatmeal made like this before. I just discovered this recipe during my food service rotation with Dexter School District back in January, and man, oh man, I think it’s delicious. The best part? This recipe lets you mix n’ match what goes in it to make and endless combination of oatmeal yumminess – a great way to prevent breakfast from becoming ho-hum. Today’s concoction? 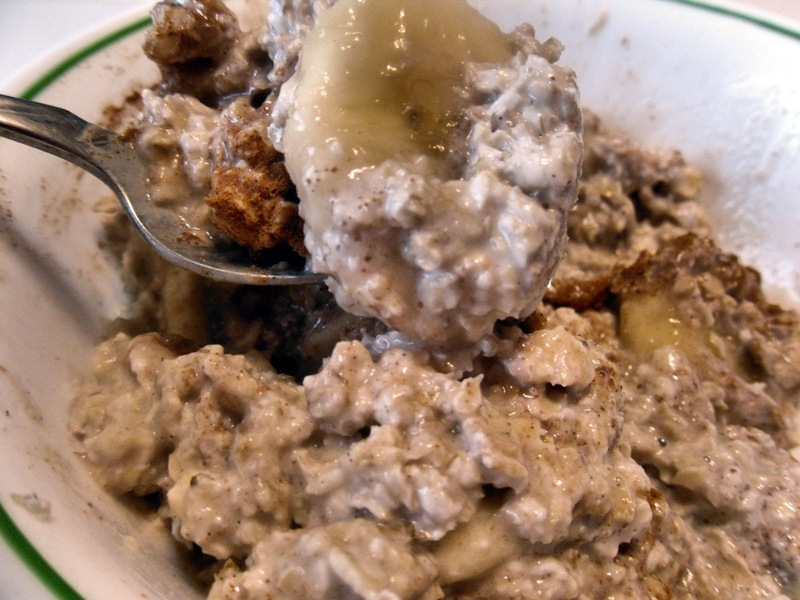 Cinnamon banana walnut oatmeal! Lately, I’ve been making this oatmeal with thawed out strawberries and blackberries that are in my freezer, which makes me feel like I’m getting a sneak peak of summer. Freezing berries from the summer is a GREAT was to extend their life, and you can eat them all through the winter months if you freeze enough of them! Just make sure to pre-freeze them first by laying them out on a cookie sheet. This makes sure that they don’t clump together to form a lovely ginormous ball of ice. After they’re rock solid, transfer your now nicely frozen berries into Ziploc bags. Currently, mine are in gallon-sized bags, but snack-sized bags are a good idea since then you can take the berries out in more realistic sized portions. However, I probably could eat at least a half gallon bag of frozen berries….they are just that delicious. Showing off my summertime oatmeal, berry-style, is for another day, though. Let’s talk about this concoction right here and how you can make it, too. Mix-ins of your choice! Some good ideas are: Chopped walnuts, almonds, raisins, bananas, berries (all kinds! ), cinnamon, nutmeg, honey, Greek yogurt, the sky’s the limit! The nuts are especially good sources of monounsaturated fat that will help keep you satisfied. 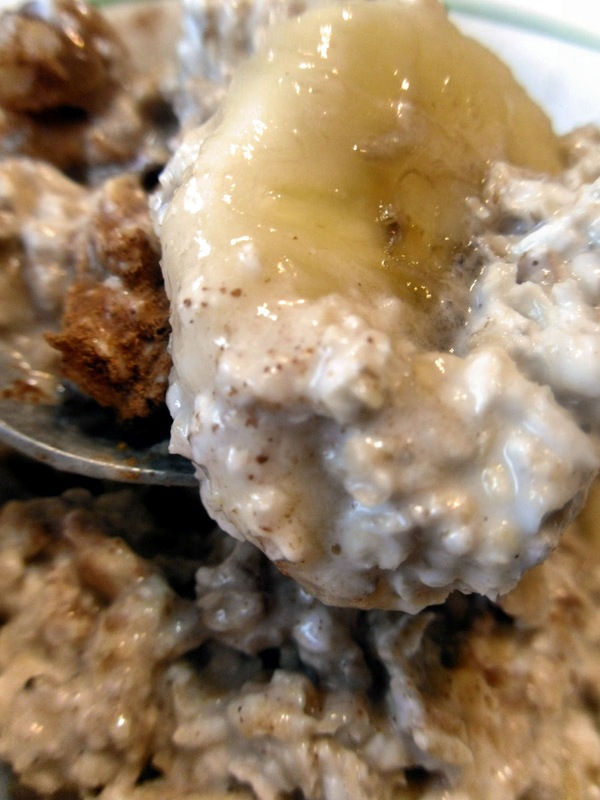 Mix up the oats and milk into a bowl. Stir in any fruit or nuts that you want to add. Cover and refrigerate overnight. In the morning, take out your oatmeal and top it with any flavorings you like – this means spices or natural sweeteners (like a few drizzles of honey or flavored Greek yogurt – more on this in a second). Stir it up, and devour! 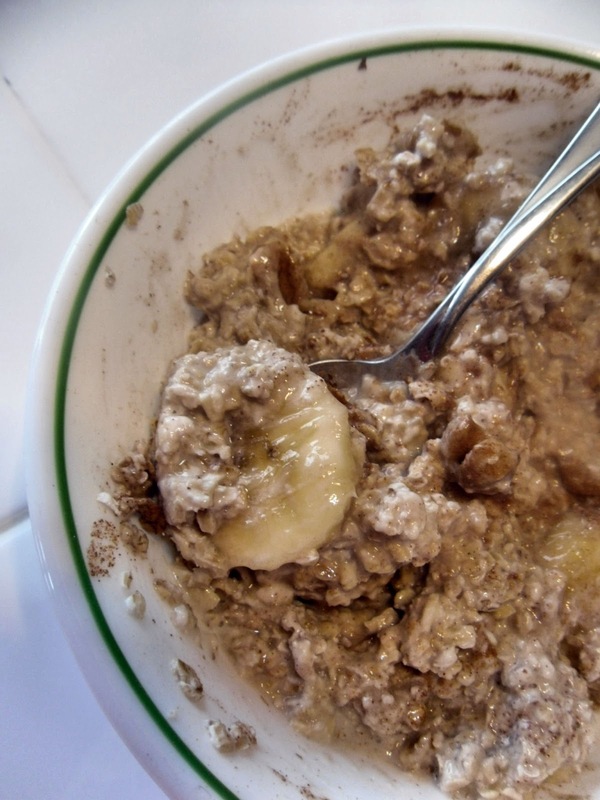 A great thing about this oatmeal is that it is sweetened naturally and without the extra sugar that you might find in those oatmeal packets. Think of the ones that come in Peaches N’Cream, Cinnamon N’Suga, and even Dinosaur Eggs flavors. If you currently add a decent amount of brown sugar, sugar, maple syrup, etc. to your daily bowl of heart healthy goodness, why not explore some alternatives? 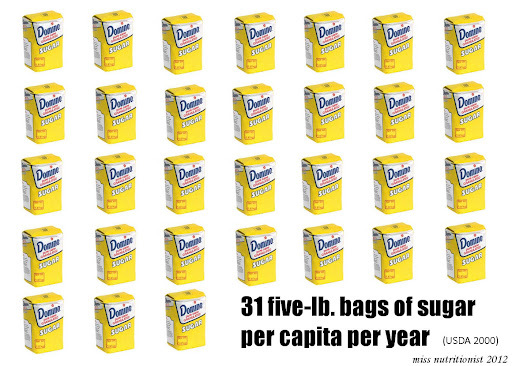 According to the USDA in 2000, an average of 31 five-pound bags of sugar were consumed per capita (or per person) each year. It is almost no wonder, then, that complications with type 2 diabetes is in the top 10 leading causes of death and that more than one-third of American adults are obese. Extra weight gain also puts us at risk for obesity-related conditions like heart disease, stroke, and certain types of cancer. So what can we do? Well. The first step is to start eliminating unnecessary sugars from your diet. Gradually, of course. Cold turkey is just a recipe for disaster. Since many breakfast cereals, oatmeals, and granola bars usually have a good dose of sugar in them, a good start to reducing your sugar intake is taking a look at what you eat in the morning. Let’s start with this oatmeal that we’ve been talking about. Soy milk and almond milk have a different kind of flavor and sweetness than non-fat milk, and using it in this recipe is a great way to utilize it as a natural sweetener. However, it’s important to be aware that almond milk has only about 1 gram of protein per 8 oz. serving, while most soy milks have about 6-8 grams per 8 oz. serving (non-fat milk has 8 grams). Both, when calcium fortified, will provide you with about 30-45% of your daily needs for calcium (depending on the brand). Just make sure it is fortified with vitamin D, as well, or all that calcium will be for naught, since vitamin D is necessary for our bones to take up the calcium we consume. Fruit is another great natural source of sweetness, and adding loads of it to this recipe can help satisfy your morning sweet tooth. I also mentioned in the recipe that adding some flavored Greek yogurt (about 1/4 cup might do the trick) is another way to amp up the sweetness in your morning grub, without adding spoonful upon spoonful of sugar. The protein-boost in Greek yogurt will also help to keep you full and satisfied until your next meal or snack comes along. Try these tips a few times a week and see what happens. Listen to your body. Do you feel satisfied after eating a more protein and whole grain rich, naturally sweetened breakfast? Maybe you will notice that you are able to concentrate better during the morning hours and are able to keep your focus until lunchtime without that sugar rush and crash that refined sugars tend to give us. Give it a whirl!